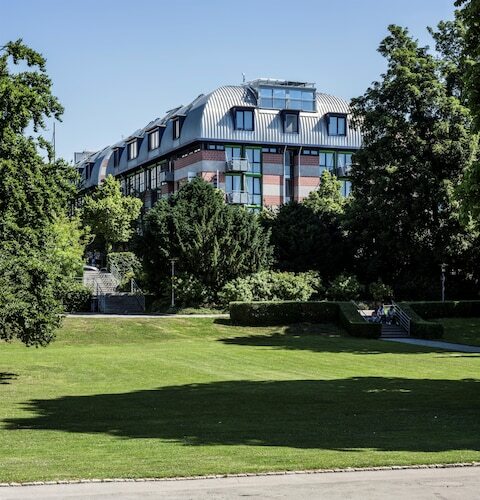 Situated in Dornbirn, this spa hotel is within a 15-minute walk of Dornbirn Exhibition Fairgrounds and Birkenwiese Stadium. Inatura and FLATZ Museum are also within 2 mi (3 km). 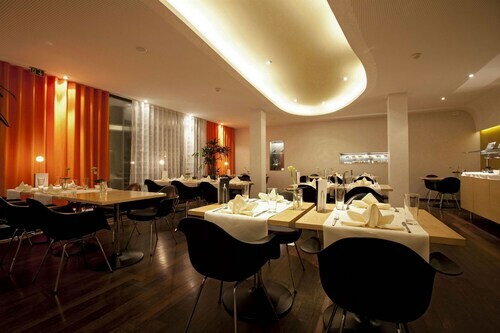 Situated in Friedrichshafen, this hotel is steps from Klangschiff and Lake Constance Promenade. Schulmuseum and Graf-Zeppelin-Haus are also within 10 minutes. Friedrichshafen City Station is only a 2-minute walk and Friedrichshafen Harbor is 10 minutes. 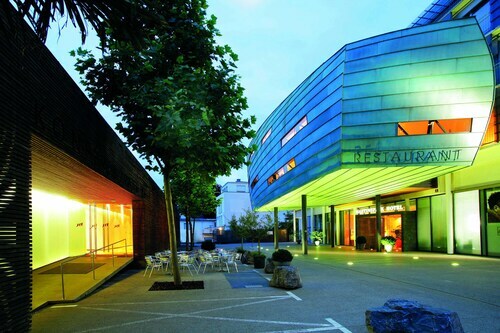 Located in the heart of Dornbirn, this hotel is within a 5-minute walk of Rotes Haus and Dornbirn City Museum. FLATZ Museum and Inatura are also within 15 minutes. Dornbirn Station is only a 3-minute walk. 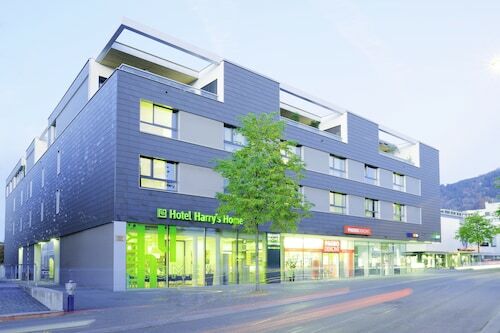 Situated in Dornbirn, this hotel is steps from Rotes Haus, Dornbirn City Museum, and FLATZ Museum. Inatura and Birkenwiese Stadium are also within 1 mi (2 km). Dornbirn Station is 6 minutes by foot. How Much is a Hotel Room in Gais? Hotels in Gais start at $91 per night. Prices and availability subject to change. Additional terms may apply. With 12 places to base yourself within Gais, travelers here are able to be discerning. Modern travelers using Travelocity have access to around 12 luxury and affordable hotels within a 6-mile (10-kilometer) distance of Gais's center. Learn about a number of Travelocity-listed hotels you can stay at within a 3-mile (5-kilometer) radius of Gais's town center, including the Idyllhotel Appenzellerhof and Gasthaus Krone Speicher Boutique-Hotel. The Parkhotel Sonnenhof is around 16 miles (25 kilometers) away from the heart of Gais. Another hotel is the Hotel Bad Schachen, which can be found about 16 miles (26 kilometers) away. 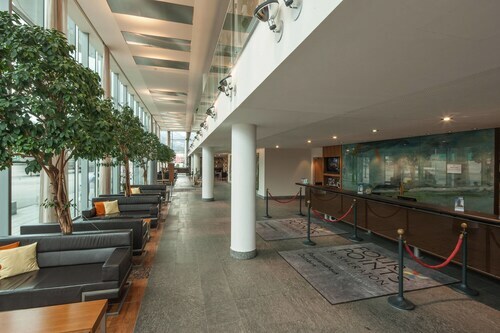 Other hotels and apartment options are the Residence Hotel and the Hotel Säntispark. If you can spare the time, you should visit other parts of the Northern Switzerland region. Move around Northern Switzerland's ruins, castles and traditional villages. Anybody drawn to nature could also take the time to admire the region's rivers and lakes. Wise travelers in this area of Switzerland enjoy skiing. Want more to do? Consider spending a few hours seeing Wildhaus-Gampluet Cable Car and Toggenburg Sound East Trailhead, which you'll find in Wildhaus, 12 miles (19 kilometers) southwest of Gais. If you stay in Wildhaus, check out the Hirschen Swiss Quality Hotel and Saentis. Or, you could consider staying in Appenzell, 4 miles (6 kilometers) to the southwest of Gais, where you have the options of the Romantik Hotel Santis and Hecht. Regardless of whether you're passing through or spending a few nights in Appenzell, set aside a little time to visit the Appenzell Museum and Museum Liner. When watching stadium sport is on your list of things to do in Gais, make the trip to AFG Arena, which is located 8 miles (13 kilometers) to the west of Gais. For tourists who are keen on booking a hotel nearby, make a reservation in the Sporting Hotel or Landgasthof Säntisblick. 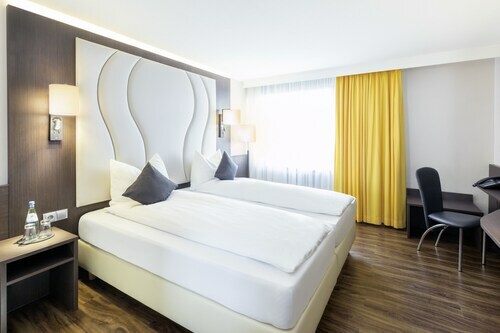 If you are traveling through St. Gallen - Altenrhein Airport and need to book a room in the area, have a look at Hotel Heiden Swiss Quality or Best Western Hotel Rebstock. There is very heavy street traffic on that side of the hotel. Hard to sleep - of course we always have the window open so if you don't need that, it probably wouldn't be so bad. Mold in one corner of the ceiling. The staff person who gave us our key was very grumpy but the staff person there when we left was perfectly lovely. The bed is comfy but smells like old people. The bed had a couple of hairs on the sheets. And there were a lot of old people there when we stayed. Bathroom was clean, elevator works well, there is a restaurant on site that we did not try. It is not a close walk to the Bodensee but you can make it there in half hour by foot. And seeing the Bodensee is a must. Just one shower room per floor. Two restrooms on each floor, one of which is in the bathroom. Breakfast is included and is pretty good. Rooms are clean. Beautiful place, nice bar, nice buffet breakfast, as you would expect for the price. Only shortcoming was lack of air conditioning. We like a cool.cold room and even in October, had to open the window which let in street noise from nearby outside restaurant/bar. This was a minor and actually opening the window had the advantage of connecting with this small city.